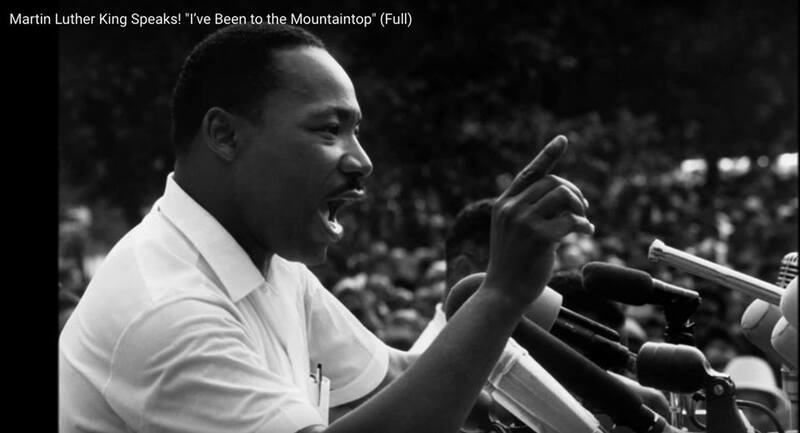 Although I love “I have a dream”, my favorite speech by Martin Luther King is the one he gave the night before his assassination: “I have been to the mountain top“. Like anybody, I would like to live a long life. Longevity has its place. But I’m not concerned about that now. I just want to do God’s will. And He’s allowed me to go up to the mountain. And I’ve looked over. And I’ve seen the Promised Land. I may not get there with you. But I want you to know tonight, that we, as a people, will get to the promised land! And so I’m happy, tonight. I’m not worried about anything. I’m not fearing any man! Mine eyes have seen the glory of the coming of the Lord!! You can listen to the entire 43-minute speech on YouTube.